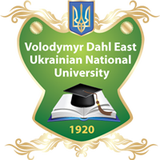 In the East Ukrainian National University named after Vladimir Dal successfully ended the second week of admissions. Those wishing to study in Dahl University generally submitted more than 14 000 applications. According to the executive secretary of the selection committee DREAMS them. V.Dalya Vladimir Salo, in the first two weeks of applications received exceeds the number of applications for the whole period of last year's admissions. Currently the most popular among students are the specialty areas of law and economic sciences in particular, a large number of applications filed in areas of training "Law", "Finance and Credit" and "Management." Next in popularity among applicants are areas of training such as "Philology", "Transport Technologies" and "Sociology". A popular trend was "Social Work", where competition is already over 25 people in place. Significantly increased interest students of engineering specialties. Number of applications submitted to the directions of "Computer Engineering", "Computer Science", "System Engineering", "Road transport" "Transport Technology", "Technology of Light Industry" and "Hydrometeorology" doubled, and "Micro-and Nanoelectronics", "Welding" and "Engineering Mechanics" - thrice. The leader of the technical areas of the dynamics of the growing number of applications was "Metrology and Instrumentation Technologies", where those wishing to learn this week was 3.5 times greater. Note that according to state policy on industrial development and high-tech industries, this year in Dahl University of budget places on engineering and technical areas of training increased by 30%. Recall that a key difference between admissions in 2012 is to increase the passing score on the competitive profile subject to 140. July 17 ended the documents from persons wishing to attend full-time students and must have a creative contests. July 20 ends reception of applications for full-time department of students having to pass entrance exams, and July 31 - from those who under the rules of entry will not be held contests or exams. Anyone wishing to get an education at the correspondence department will submit a package of documents from 20 July to 18 August.